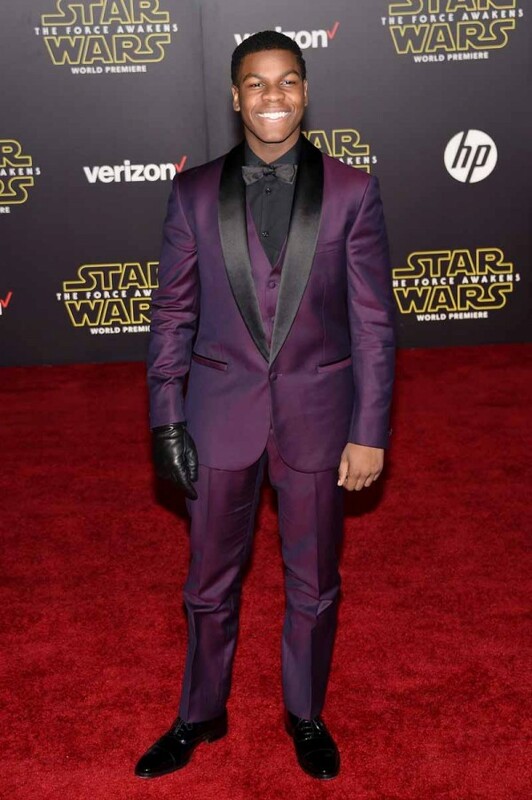 John Boyega did not have to go to a galaxy far far away to choose his suit for the world premiere of ‘Star Wars: The Force Awakens’ on December 14, 2015 at Hollywood’s Dolby Theatre. The actor looked dapper in a custom-made Versace tuxedo in a striking shade of burgundy with contrasting black satin shawl lapels. He paired his tuxedo with a black Versace dress shirt and black Versace bow tie. He completed his look perfectly with black patent leather Versace dress shoes.